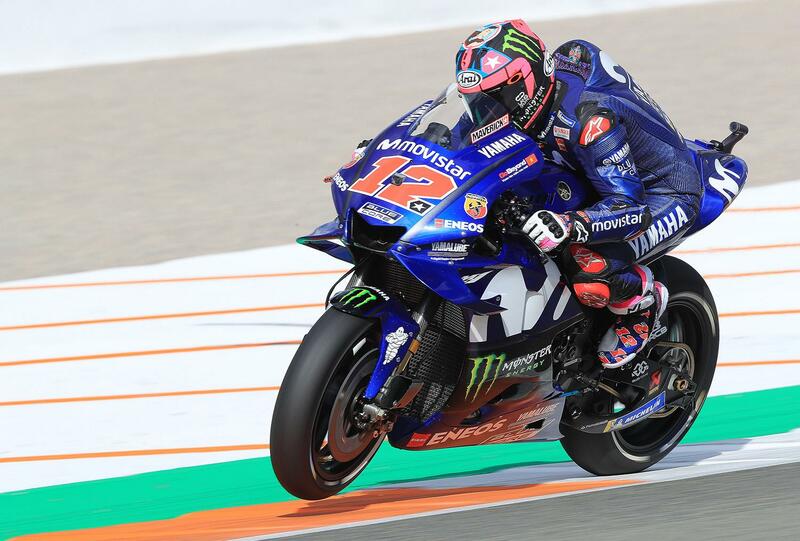 Maverick Viñales has topped the opening day of the 2019 season at the post-race Valencia test, ending the day nearly half a second faster than world champion Marc Marquez on his new 2019-spec Yamaha M1. Running a new and seemingly improved engine designed to negate their acceleration and grip woes, the day was a successful one as teammate Valentino Rossi finished third behind Marquez. Reigning Moto2 world champion Pecco Bagnaia was the best of the rookies in 11th place on the Pramac Ducati. 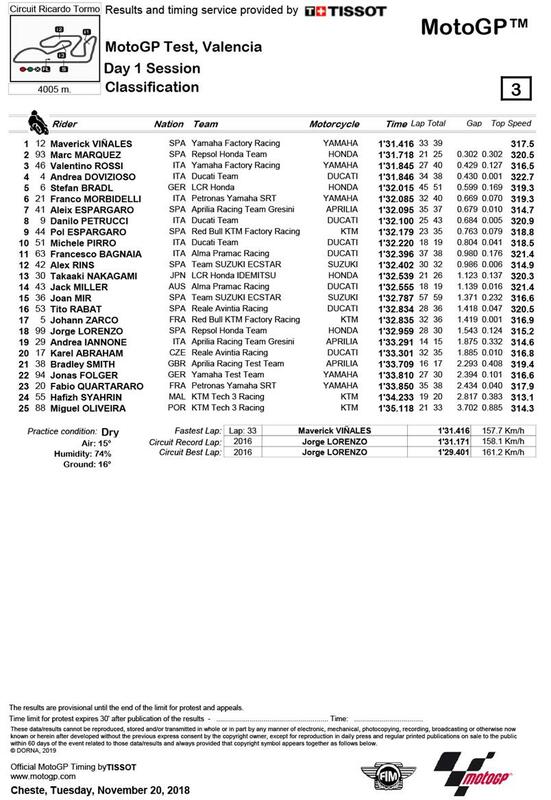 Yet despite the immediate gain in performance, Viñales says that there could be better yet still to come with another spec of engine to test on the second day of the test tomorrow. “We tried to make a step forward with the engine, and I just felt really good going out. We still need to amend the engine in terms of acceleration, because the engine is different from what we had during the 2018 season. We need to keep going and I'm really happy.